If you haven’t heard by now, Deerhoof has administered a “global album leak” of their upcoming new release, Deerhoof Vs. Evil, which is supposed to come out January 25th, 2011. Being somewhat inclined to look forward to something as eventful as a new Deerhoof album, I’ve been avoiding the leak. However, I did check out the album’s first single, “The Happy Barracks,” which might be the best thing I’ve listened to all week. Deerhoof also released a split 7” with Physical Forms (members of Busdriver and The Mae Shi) called Hoofdriver. 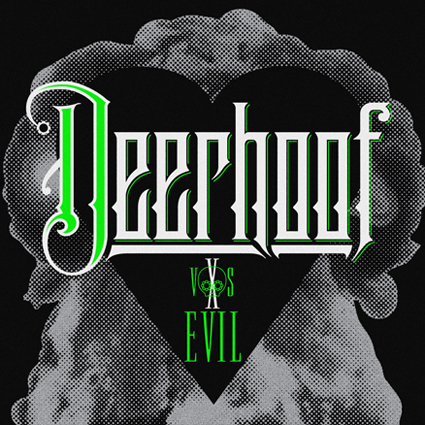 Deerhoof, ever the visionaries, are leading a series with Hoofdriver, the concept being a guest singer comes up with their own lyrics and melody to employ atop a new Deerhoof track, thusly crafting something unique AND familiar. 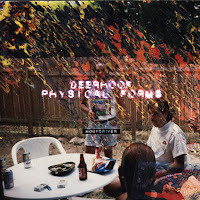 Information on the 7” can be found at Polyvinyl Record Co.
A review Deerhoof's 2007 release Friend Opportunity can be found here. You can also read a review of 2008's Offend Maggie here.